We’d love your help. Let us know what’s wrong with this preview of The Case Against the Global Economy and for a Turn Toward the Local by Jerry Mander. A great political debate has emerged over the many unexpected and profound consequences of the rush toward the global economy. The world’s political and corporate leaders are restructuring the planet’s economy and political arrangements in ways that are affecting humans and the environment more than anything since the Industrial Revolution. Global institutions such as GATT A great political debate has emerged over the many unexpected and profound consequences of the rush toward the global economy. The world’s political and corporate leaders are restructuring the planet’s economy and political arrangements in ways that are affecting humans and the environment more than anything since the Industrial Revolution. Global institutions such as GATT, the World Trade Organization, NAFTA, and the World Bank—created with scant public debate or scrutiny—have moved real power away from citizens and nation-states to global bureaucracies, with grave results. 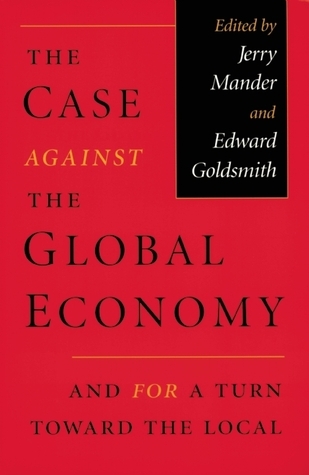 The Case Against the Global Economy is the first comprehensive, point-by-point analysis of the global economy, its premises, and its social and environmental implications. Represented here are forty-three leading economic, agricultural, and environmental experts who charge that free trade and economic globalization are producing exactly the opposite results from what has been promised. To ask other readers questions about The Case Against the Global Economy and for a Turn Toward the Local, please sign up. I'll stick with Ayn Rand. Written in '94 I believe, does feel a bit dated, but still entirely relevant. The really exciting part was the last section of four, which deals with actual initiatives one can take on the local level, rather than the same old bad-old-Bretton-Woods-institutions lecture, which the book has quite the redundantly excessive share of. Would even go almost as far as to suggest ripping that last section out and tossing the rest (into the compost pile, of course). A prescient read. From the environment to labor, this is a must for anyone who wants to understand the dark follies of the global market. Hard to believe Sierra Club books published this one, given their close affair with Mr. Neoliberal himself, Bill Clinton. It's time to refocus on the local economy, while stringently protecting the human rights of those abroad. A fascinating book that I didn't have time to finish (from the library). Definitely worth reading more on this topic.